The founding partners of Legacy Financial Network, Michael Jay Markey, Jr. and Carol Allen, established the company on the belief that the client should come first and everything else will fall in line. They have carried on this belief through education, not only of their agents and staff, but also their clients. The company has expanded to three locations in Michigan. Their growth has been fueled by a narrow focus on only those in retirement and near retirement as well as educating individuals so they truly understand their retirement. 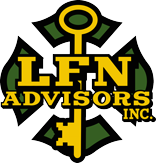 This success has led to the formation of LFN Advisors, Inc. and Legacy Network Properties. These additional companies have allowed Legacy to lower and control costs. These savings are passed on to the people they serve. Legacy Financial Network (Legacy) is an independent, privately-owned insurance organization focused on retirement products. Their product lines offer clients the opportunity to soar with safety into their golden years by providing income for life and legacy planning, to ensure generational wealth, to protect, to serve and to prosper. LFN Advisors, Inc. (LFNA) is a registered investment advisor (RIA). LFNA serves individuals entering or already in retirement, by creating a comprehensive financial plan for each person they serve. LFNA plans consider ways to potentially maximize social security benefits, lower risk through the utilization of standard deviation, lower costs by eliminating commissionable investing, proper utilization of Roth conversions rather than contributions, and multi-generational gifting. LFNA will give each client the analysis of their current plan and the analysis of the proposed plan, along with the steps needed to implement without any charge or commitment from the individual to become a client. LFNA utilizes third party managers (TPM) and model portfolios. Legacy Network Properties (LNP) was formed to purchase the long-term locations of the Legacy branches. It is the belief of Legacy, that owning its own buildings allows them to have a sustainable competitive advantage over other financial services firms. This strategy of purchasing should result in a declining cost of tenancy, whereas the strategy of renting should result into an increasing cost of tenancy. This savings is one reason attributed to Legacy’s lower costs when compared to their competitors.